Although he is best known today for Happy Hooligan (which we’ve been reprinting examples of recently) Frederick Opper was responsible for a number of popular strips in the early 20th century. 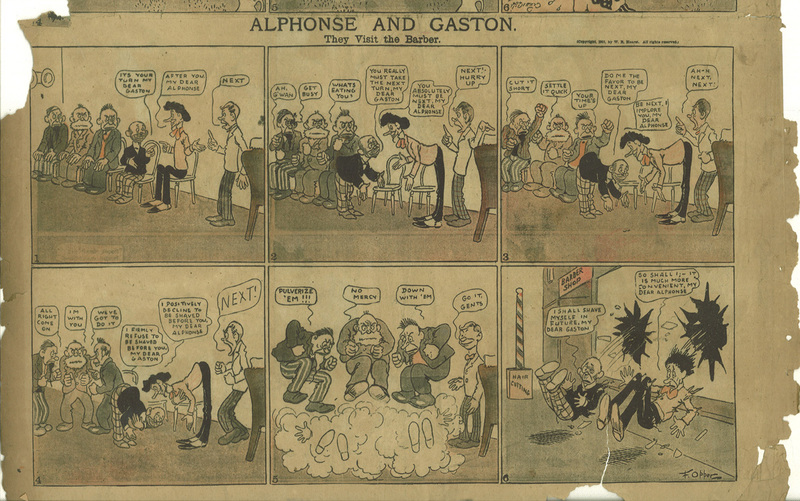 Here’s an example of Frederick Opper’s strip Alphonse and Gaston from 1903. Click the image to read the strip. Here’s what Don Markstein’s Toonopedia has to say about Alphonse and Gaston. 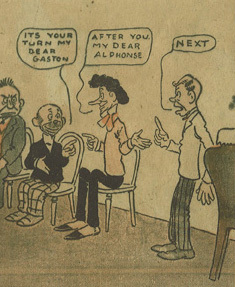 You can see more examples of Alphonse and Gaston (and many other classic comics) at Barnacle Press. Here are some other Opper strips at Barnacle Press.